Full name,date of birth: Zhakulina Aisulu Adilovna09 01 1985 y.
Еducation: Karaganda State Technical University, specialty “Construction” 2001-2005 y. Experience:Production experience– notScientific and teaching experience–12 y. 2007-2011 y. 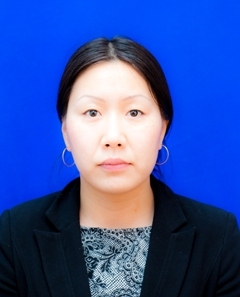 – Assistant of the Department “TaOCP” KSTU;2011-2013 гг. – Lecturer of the department “CaHCS” KSTU;2013-2015 гг. – Senior Lecturer of the Department “CaHCS” KSTU;2015 – and to the present – associate professor of the department “Building materials and technologies” KSTU. Training:- on engineering pedagogy 06-29.05.2015;- Japan, The 15th Asian Regional Conference on Soil Mechanics and Geotechnical Engineering, november 9-13, 2015, Fukuoka. - Compass-3D and 3ds max 2016; - Kazakhstan, Proceedings of the 8th Asian young geotechnical engineers conference, “Challenges and Innovations in Geotechnics”, august 5-7, 2016, Astana;- English, A2 level 2017-2018;- Kazakh language, A2 level 2018. 1. «Initial stress condition of saturated soil grounds», Proceedings 3- international conference on new developments in soil mechanics and geotechnical engineering. Cyprus, Nicosia. 2012, 28-30 June. p 688-691 p.
5. USA, The second geo-institute Kazakhstan geotechnical society joint workshop. «Geotechnical Infrastructure for Megacities and New Capitals», Orlando, Florida, 5-8 march, 2018, p. 108-111. Languages:Kazakh – native;Russian – free;English – (with a dictionary).